Let the countdown begin! 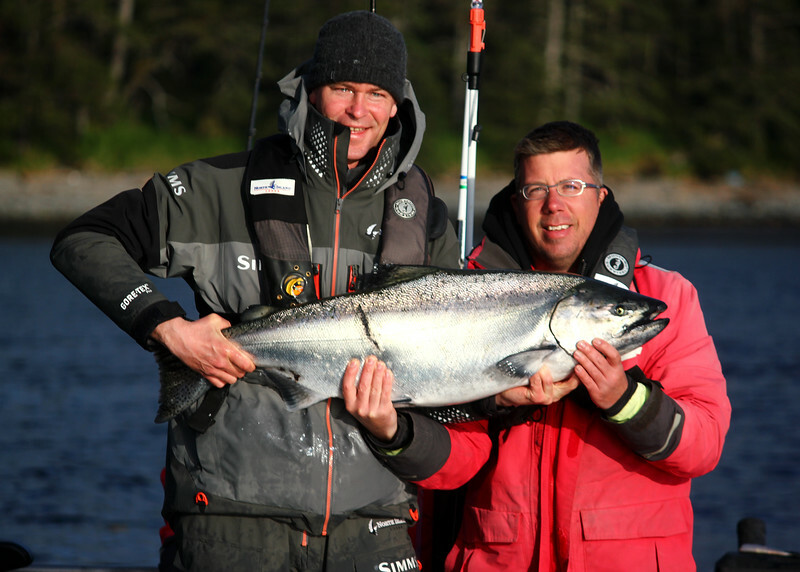 In just 100 more sleeps, the first guests of The West Coast Fishing Club’s 2016 season will drop their lines in the Salmon infested waters around Langara Island, and once again I will be among them. 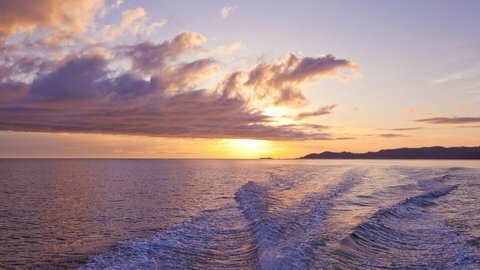 Guests bound for The Outpost will have to suffer through an additional five sleepless nights before they enjoy the same privilege a little further south at Port Louis – June 3 to be exact. But never mind, another season is now on the horizon. I’m celebrating the nearness of the return to Haida Gwaii (and fending off a rainy winter day) by constructing a large batch of bone-warming chowder using the still perfectly preserved fish I caught during the blockbuster season of 2015. I use primarily Salmon, but anything goes really, as long as it was caught at Haida Gwaii – Halibut, Lingcod, Yellow-eye – it’s all fair game. I also use the smokiest bacon I can find, along with a half-pound of smoked Salmon that my neighbor Ron Henze provides. After a bit of trial and error, Ron has perfected the use of the smoker he bought after becoming rather evangelical about barbecue as a result of joining me at The Ultimate Grill Showdown last June at North Island Lodge (sorry friends, that event is sold out already). I must say that the chowder is superb stock in trade, so once this batch is done I will distribute it among my neighbors, which curries favour that will pay off later in spring when I ask to borrow things – pressure washers, hedge trimmers and the like. Besides, with just 100 days to go, I’ve got to use this fish up, and I have already cooked it in every way I can think of. So today is a chowder-making day, with a glass of chilled Chablis – I probably didn’t even have to tell you that – as the aroma intensifies. Looking ahead to the 2016 season, I will resist the urge to tell you for the umpteenth time why I think June is a fabulous time to be up north. 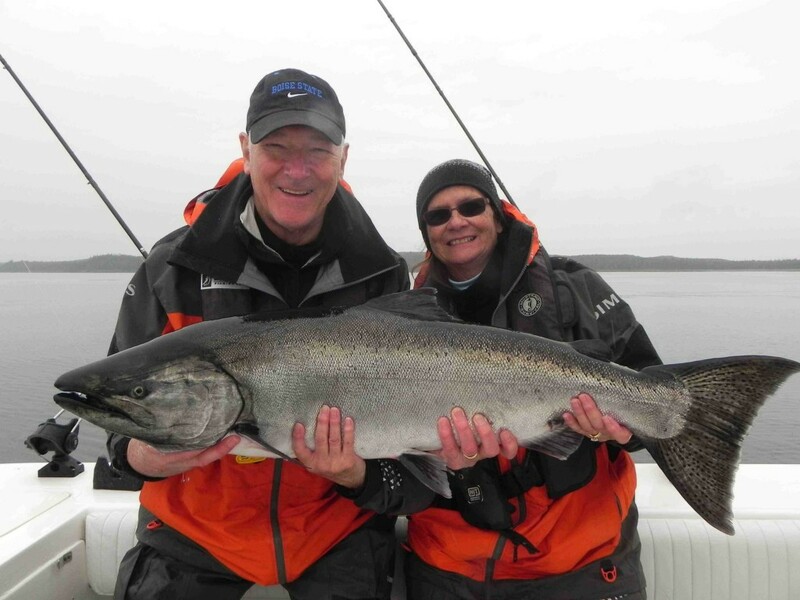 Apparently many of you already know, because I’m told that all three lodges are filling up fast, including the first trips of the year that begin May 29 at The Clubhouse and May 30 at North Island Lodge. 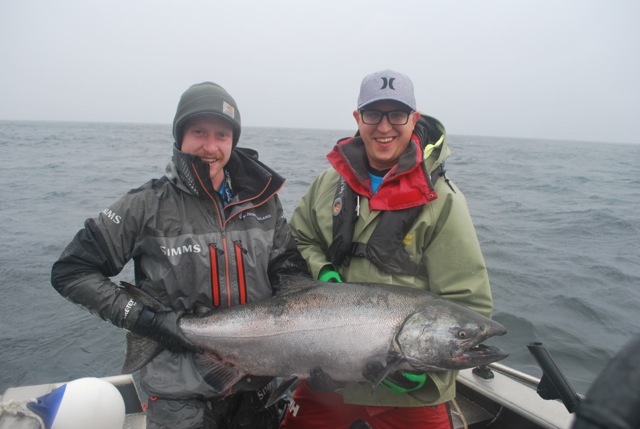 If you do know that June is a great time of year to fish, it’s likely because you’ve either experienced it yourself, or you’ve seen the data for June in the previous years, which indicate that Chinook Salmon are in abundance by late May, including big ones. 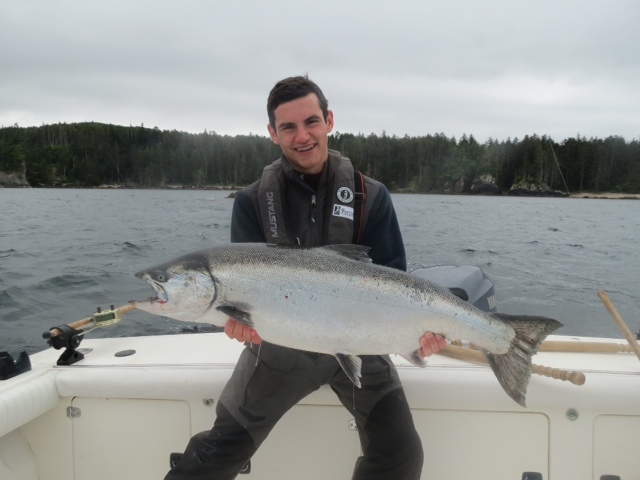 In 2014, for example, it took just 30 minutes before the first Tyee was caught by one of our guests. 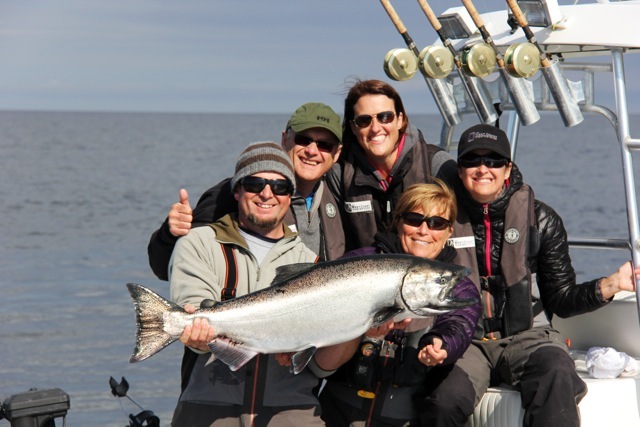 I was among the first group to hit the water at North Island Lodge in 2015 and we were all into fish right from the get-go, as was the gang at The Clubhouse. In fact, I think my partner and I had our first double header about two hours into our first shift. 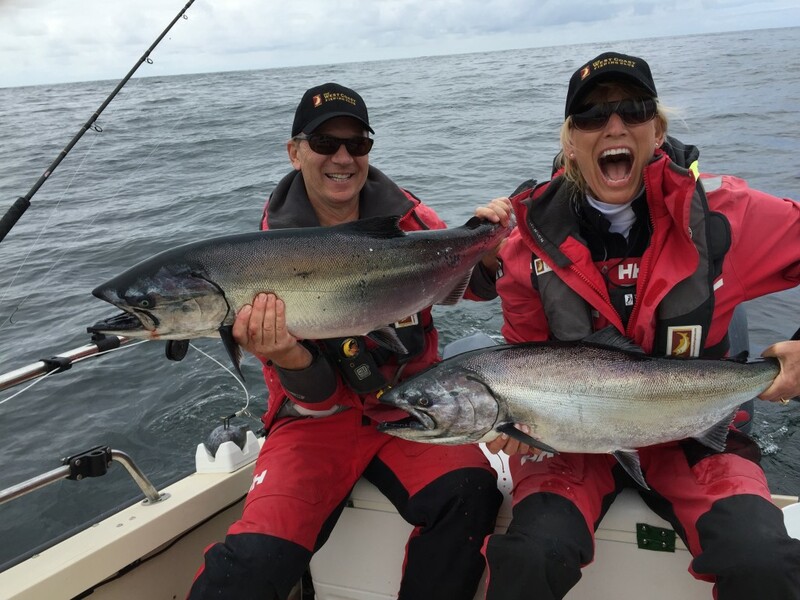 We had to wait a bit longer before the first Tyee hit the boards at last year’s opener – four days to be exact – but nobody complained. 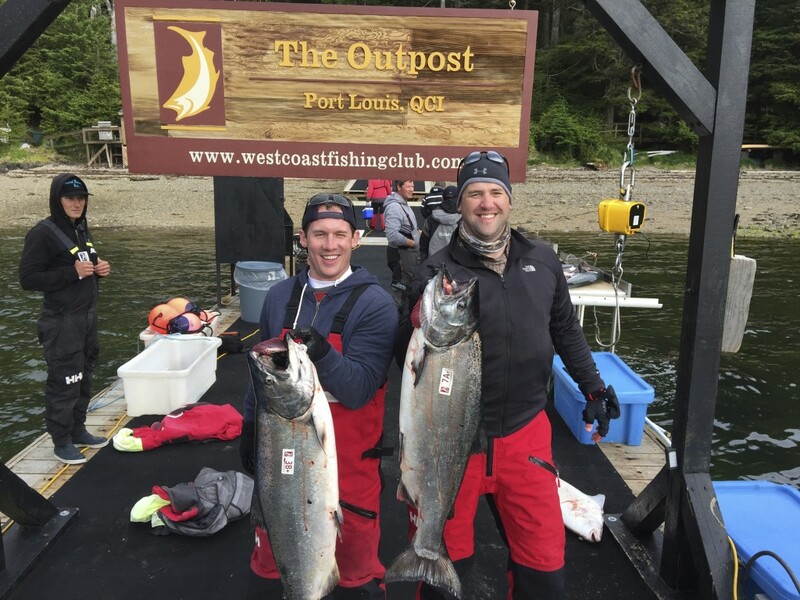 As I recall, every guest took home their limit of Chinook Salmon. A couple of weeks later I paid a visit to The Outpost and the bite there was particularly insane. Not as many Tyees as Langara Island, but fish stacked up in all the usual spots, including Three Rocks just a short run from the lodge. 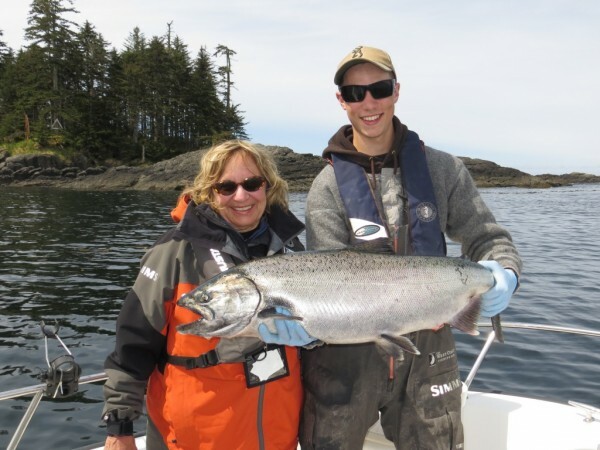 We all came home with perfect turkey-sized Halibut on that trip too. (Catch just one of those 60-pound slabs friends and you too can serve all the chowder your neighbors can eat!) And then there are those endless nights that we get up at Haida Gwaii during June’s summer solstice, when the islands are silhouetted against a stubborn evening sun – an incredible sight to see (I would have said awesome but sadly that is a word that has been abused beyond recognition). I’m also looking forward to once again sharing all the news from around The Club via our Ebb and Flow Weekly Fishing Report, which will go out weekly during the season to those of you on our e-mailing list. I really do enjoy writing these weekly salvos, and not only because there is always great fishing and good times to report, but also because I get to spend quality time with interesting people who gather at the lodges as kindred spirits, enjoying the world’s best Salmon Fishing and a unique style of gracious living that is brought each summer to the marine wilderness of Haida Gwaii, courtesy of The West Coast Fishing Club. “Any fool can rough it,” as someone once told me, and I haven’t forgotten how true that statement is. 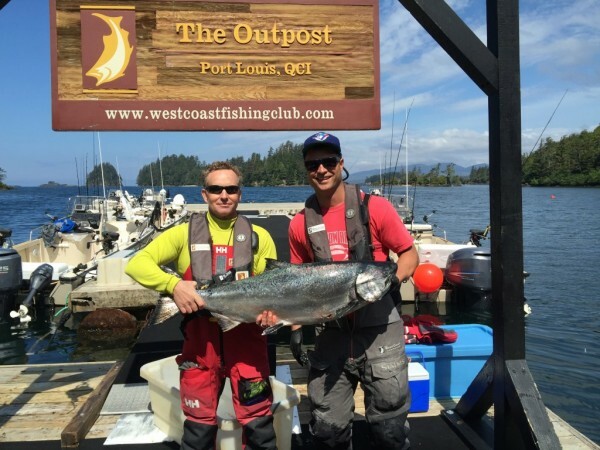 The fact is that it takes commitment and skill to offer extreme comfort, impeccable service and the finest of food and drink in a remote place like Langara Island or Port Louis, and nobody does it better than The Club and its five-star staff. 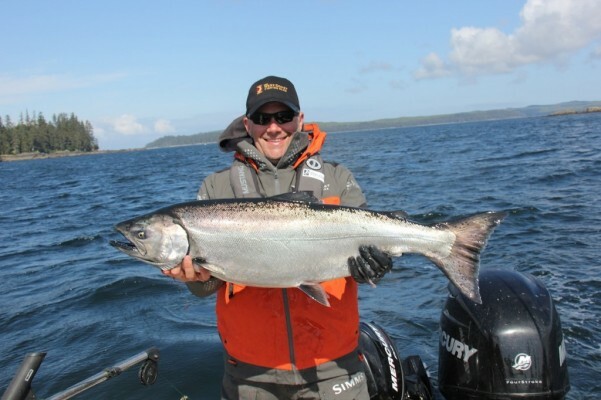 With that in mind, I want to thank in advance those who will provide intel and insight in the weeks that I will not be up north, but rather here in my office distilling the information and the names of the many guests who will ring the bell on a Tyee this season. 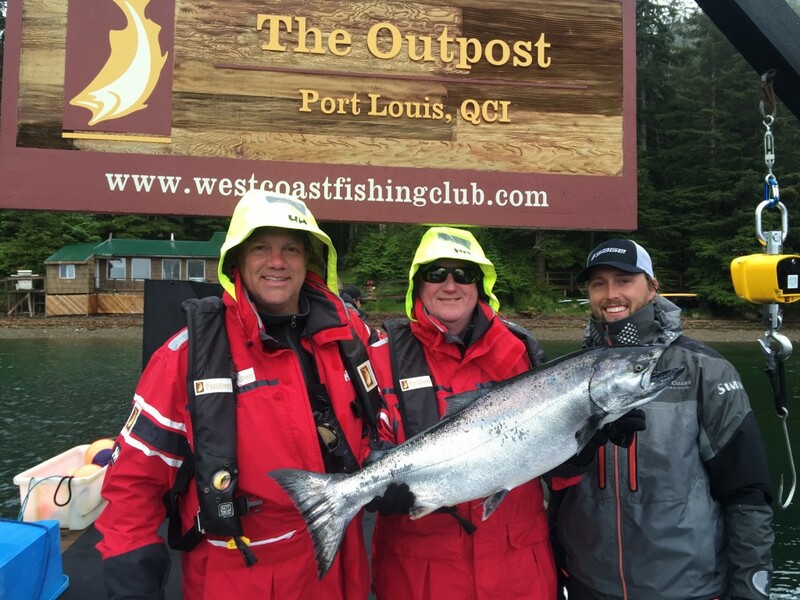 That information will come from The Clubhouse via head guide Mike “Screamer” Tonnesen, who files his own informative and always amusing reports all summer long; from The Outpost via lodge manager Jordan Knight, and from North Island Lodge via lodge manager Todd McIntyre. 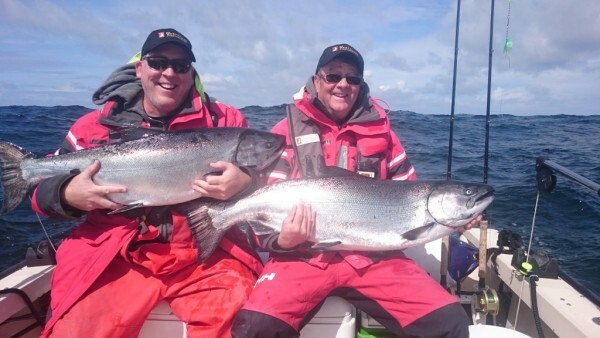 Overall friends, we see no reason why we won’t be rocking and rolling all season long again in 2016, including the first two weeks in September, which has produced superb Chinook Salmon fishing for the past several years running. On that note, we’ll cap off the season once again with the Langara Rocks season-ending party September 11-14 at The Clubhouse, where The Dock Rockers house band will kick it out nightly. But irrespective of when you want your far-beyond wilderness odyssey to begin, it’s best to secure your spots now. Besides, with just 100 sleeps to go, it’s time to get excited!